3G sports pitches for rugby and football can come in a range of dimensions depending on the specification of each project and the existing space that is available. 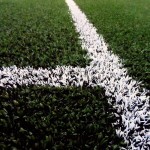 You could choose to have a full sized 3G sports pitch installed to use for both rugby and football, or you might want a smaller pitch for 5 aside football, the choice is completely up to you and the requirements of your organisation. 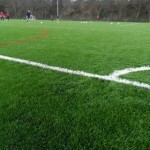 Altering the sizes and dimensions of you 3G pitch can also help to reduce costs for the overall construction, so if you’re on a tight budget you may need to consider having a slightly smaller synthetic grass pitch size to make sure the costs and prices are kept down. The dimensions for a 3G sports surface can be very flexible as there is not standard size, this means you can have full control over the specification of the sports facility to make sure you are completely happy with the overall result. Contact us today through the form on this page to discuss all the options for design and installation of sports facilities.